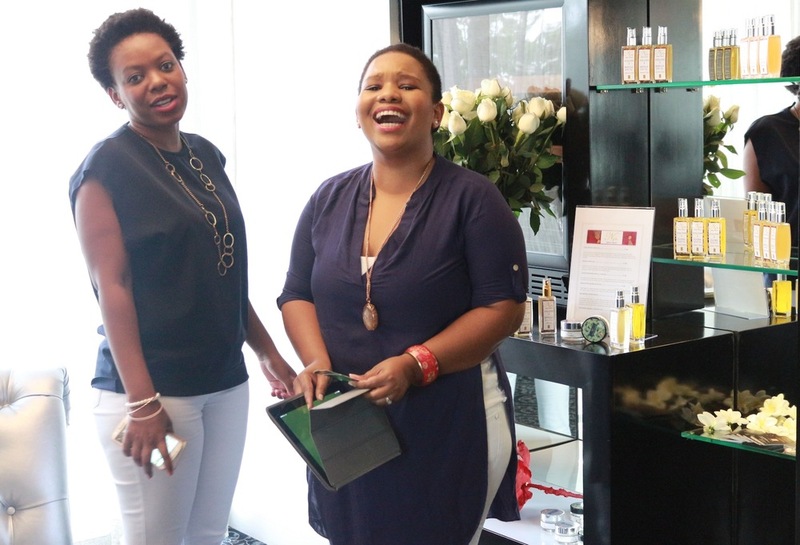 In 2015, Lionesses of Africa featured a wonderful young startup company, Nyla Naturals, the brainchild of creative entrepreneur Thokozile Mangwiro. Today, one year on, so much has happened in the life of this great young company and entrepreneur, and a new natural hair care product line, Nilotiqua, has been launched which is just as exciting. 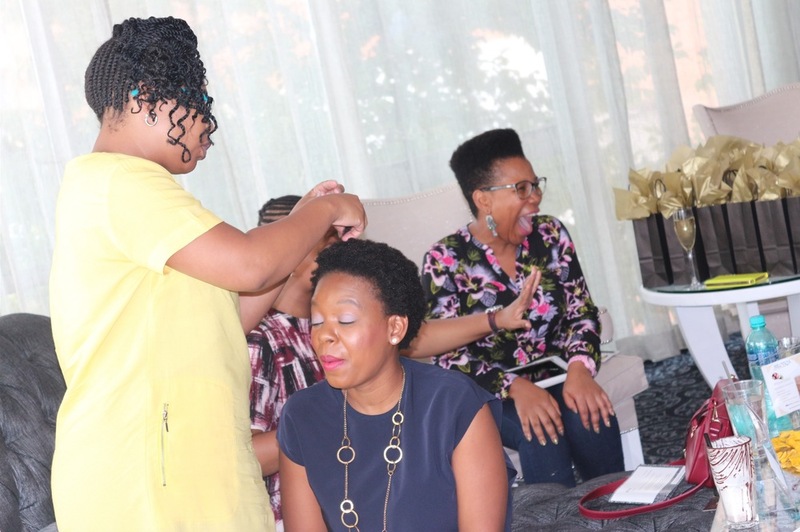 LoA spoke to the energetic and highly creative founder of Nyla Naturals, Thokozile Mangwiro, to find out more about where the company is going and about the wonderful new natural hair care product line which has just been launched. NYLA is our re-branded luxury brand that offers 100% natural, deeply moisturizing skin oils and products. We are handcrafted from Johannesburg, South Africa, with our star indigenous ingredient, The Marula oil. We believe that Marula oil is the secret to timeless hair and skin nourishment. Deemed the miracle oil of Africa, it is obtained from the core of the Marula fruit and is indigenous to Southern Africa. The Tsonga women of South Africa and Mozambique have used this oil as a moisturizer and a massage oil on babies for years. This oil has protected the African skin and hair against harsh and dry, hot and humid weather conditions for ages. We have created the Marula Evolution Collection by showcasing pure Marula oil and fused it with various natural botanical and organic ingredients to create the most luxurious products to nourish your skin and hair. I am extremely proud of Nyla & Nilotiqa, two African Brands that are of the highest quality, showcase African ingredients and are geared to change the face of African luxury to the world. Our newly launched NILOTIQA brand is a natural hair care product line that is specially formulated for dry, damaged natural afro hair with a tendency to be brittle and prone to breakage. Our product line consists of a deep replenishing co-washing conditioner, deep moisturizing butter, detangling cream and nourishing scalp and hair oil. Our natural products are formulated with high-quality nourishing ingredients such as shea butter, coconut oil, castor oil and avocado oil that leave the hair feeling softer, deeply moisturized and much more manageable. Our products keep away from artificial sourcing of ingredients and do not contain petroleum, lanolin, parabens, phthalates, or artificial colors. My inspiration to start a hair care company comes from a memory of myself as a little girl, sitting in front of my mother combing my afro hair with a struggle and my grand-mother walking into the room, turning around and saying: "look at how my hair is". She had so much pride. I grew up under natural women, but unfortunately the lack of knowledge and the struggle of maintaining natural hair led us to relax our hair with chemical laden products. I remember how the products would burn the scalp and those memories are horrible. All I wanted was my natural hair back and I began my own natural hair journey right after my final school year. I have struggled with dry skin and hair since then. In that defining and exciting moment, I quickly learned that many of the products in stores were not created to meet my moisture hungry hair and skin. Twelve years and several travels locally and internationally later, I continued to struggle until I began to formulate products that would truly nourish my hair and skin. I wanted pure natural products that would leave a soft and silky smooth feel. The idea to formulate my own hair line came to me after I researched the different ways to keep hair moisture in natural African Hair. This is how I met Shea Butter. Not just any Shea butter, but the Nilotica Shea Butter from the Nile Region of Africa. It has been just over four years of research, formulation and testing that Nilotiqa's Shea & Coco Collection was launched on the 2nd of February, 2016. The Nilotiqa Brand comes right off the back of Nyla Naturals. Even though the idea of Nilotiqa came first, Nyla Naturals was launched first. This Brand showcases the miracle oil that has stolen my heart and is indigenous to my region of Southern Africa. The Marula Oil was like nothing I had felt before. Luxurious, silky smooth and comforting to the skin – a true skin and hair nourishment oil. After a year of formulation, Nyla naturals was finally launched on the 2nd of February 2015. I am extremely proud of Nyla & Nilotiqa, two African Brands that are of the highest quality, showcase African ingredients and are geared to change the face of African luxury to the world. "My love for Africa is very deep and I felt I was not creating anything that contributed to it. It is in the formulation of my products and the response of clients that I have found my entrepreneurial spirit. It is in my desire to want to create products that are impact driven, that will fuel this spirit." There is a huge gap in the market for a larger variety of products specially formulated for African hair and skin care. The distinct difference of ethnic hair and skin types require products that are formulated for, but not limited to, these specific types of hair and skins. Our products are therefore formulated and focused on deep moisturization and ultra-hydration to promote healthy skin and hair. The use of natural and organic ingredients has ensured that we offer our customers high-quality products that do not contain harmful chemicals and still provide the most efficient and effective nutrients. Our products are premium quality and offered at prices that are affordable to the target markets. Our main ingridients are sourced from sustainable resources, support communities in Southern Africa [Marula oil], Kenya [fair trade coffee] and empower individual distributors of our products. We believe we offer impact driven product, not only a profit-driven product lines. The company’s Senior Sales Executive Consultant, who is a well-trained sales executive with an IT background and a Business Administration degree. The Channel Distribution Consultant brings his financial background to the company and heads distribution. He is also in his last year of his MBA. While working for companies such as Proctor & Gamble and Simba, he gained great experience in creating strong relationships with wholesalers and distributors. Our Online Marketing Guru who has experience as an events promoter, specializing in effectively using online channels to engage and attract people to events. This team has in-depth knowledge and experience of business operations, and a high work and business ethic. "In 10 years’ time, we would want to be a distinct world brand that maintains high standards of natural sustainable products that promote healthy hair and skin." Our vision is big but very clear. We have beautiful products to showcase to the world. We believe that our products sell themselves, therefore the goal is to get our products into as many hands as possible, as we build trust with our customers. It is about the feel of the product, the scent, and the promise of good, healthy natural skin and hair care. Over the next few years we would like to focus on getting the products into as many African countries as possible. We have also picked up on the interest in creating products according to customer needs – this will open doors to innovative ways of creating additional natural products that customers want. As we interact with more clients we realize that there are more skin and hair conditions out there that need attention. It is up to us to look for other naturally harvested oils that can be used to heal problems such as fungus in nails. The more ailments we understand and know, the more we work with herbal remedies that are suitable to treat them naturally. We intend to work hand in hand with research institutes and people in the field of natural healing to come up with the right oils or potions that would become synonymous with the name Nyla Naturals…this is part of the strategy to grow the brand. In 10 years’ time, we would want to be a distinct world brand that maintains high standards of natural sustainable products that promote healthy hair and skin. The emphasis at the moment is on deeply moisturising properties, however the healing properties are what our brand will be synonymous for. Creating something from inception and formulating products for a specific need and having clients being receptive to these products is an amazing feeling. Knowing that my products make a difference to our clients’ bodies and hair is extremely satisfying. My wish is for every single person to experience Nyla Naturals Products.